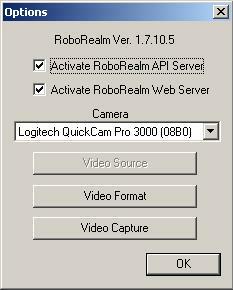 RoboRealm Version 1.7.10.5 includes a cool new web server feature. 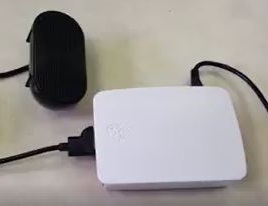 This feature can be used to control a PC based robot over the internet or wireless home network. First, activate the RoboRealm Web Server. 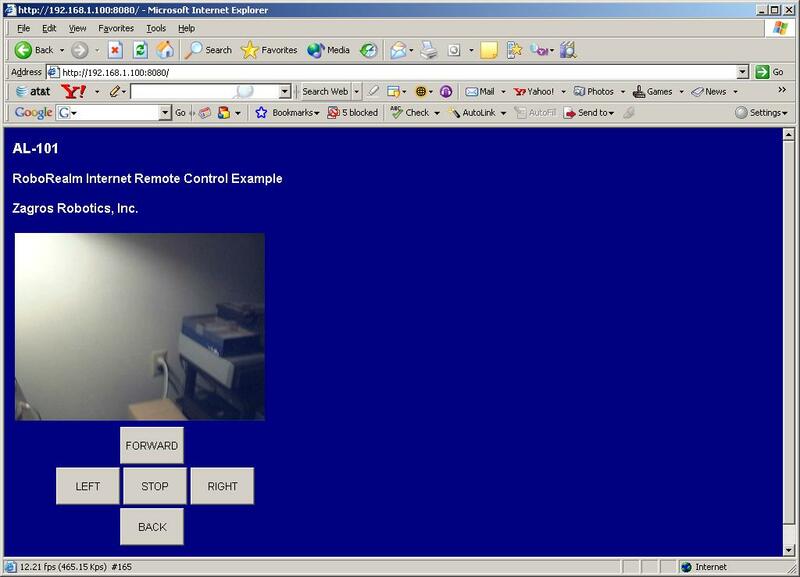 The index.html page in the RoboRealm directory has been modified to provide the basic AL controls. In addition to the web server, only the serial function is required. 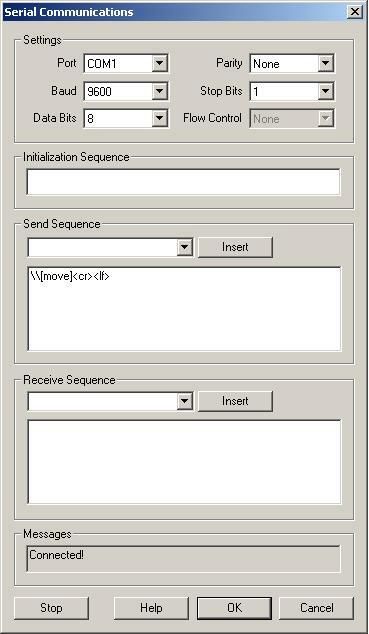 The VBScript function is only used to monitor the variables. The serial setup will send the value of the variable MOVE to the HC11 MC on the AL-101 mobile robot base. The commands in this examples are FORWARD, BACK, LEFT ,RIGHT and STOP. From a web browser, each command is sent to the RoboRealm server. 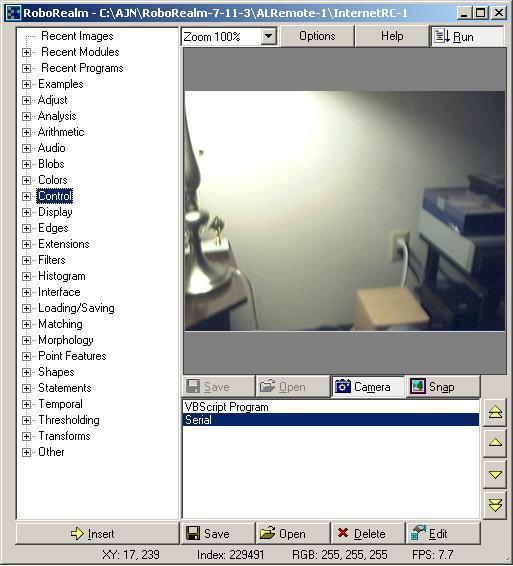 The RoboRealm server sends streaming video from the PC camera mounted on the AL-101. It only took about 15 minutes to set up wireless network control of the robot using RoboRealm.